Heart Shaped Rice Krispie Treats with Craisins - Who Needs A Cape? 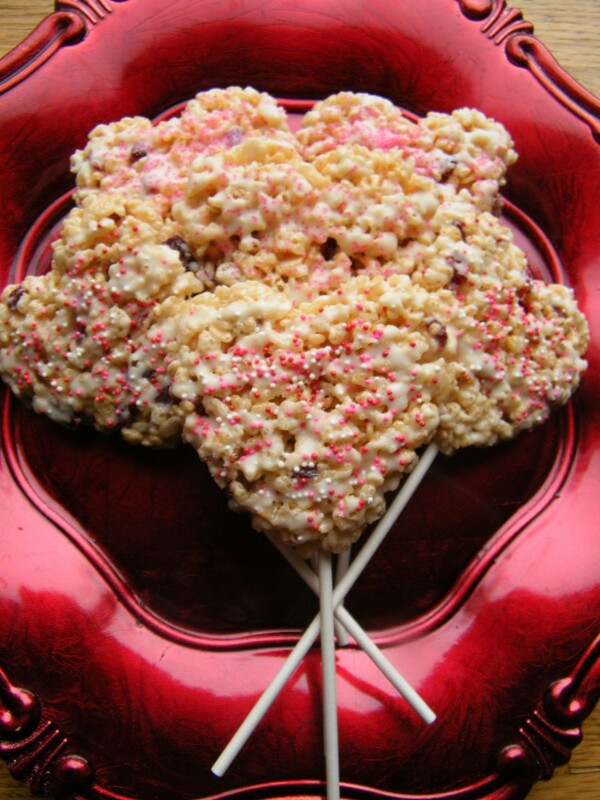 Heart Shaped Rice Krispie Treats with Craisins the perfect Valentine’s Day treat for your sweetheart! Drizzled with white chocolate for the perfect touch. 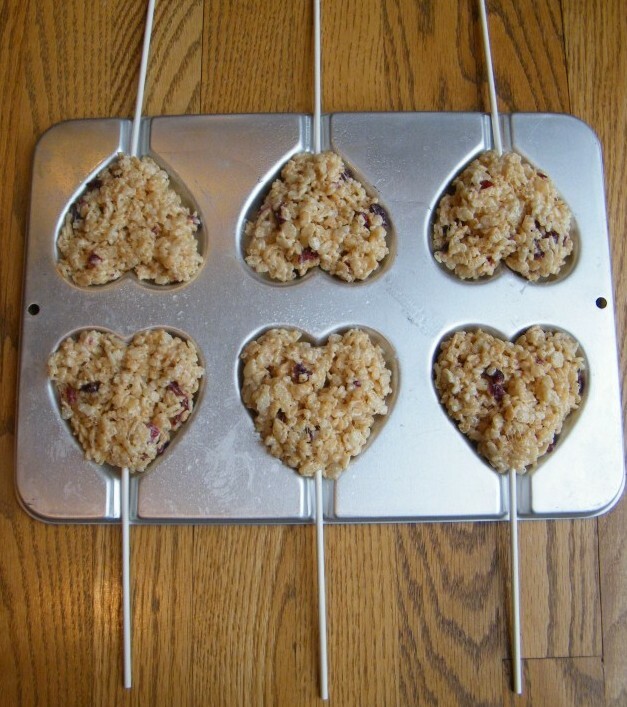 These cute Heart Shaped Rice Krispie Treats with Craisins are great for Valentine’s Day. 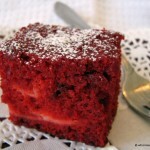 To make the treats just a touch more special I added in some chopped up Craisins for a pop of flavor. I bought a fun heart-shaped pan from Wilton years ago, its perfect for shaping Rice Krispie Treats into a heart and then you can add a stick to the treat if you wish. After making these, I decorated with just a drizzle of melted white chocolate and some pretty sprinkles. You can also make in a 13″ x 9″ pan and cut into traditional squares. These really are a great treat! Let the kids help make them, yes they’ll get sticky but the end result and their sticky ooey-gooey smiles will make it worth the mess! In large bowl melt butter in the microwave, approximately 30 seconds. Add marshmallows (I prefer using mini marshmallows) to melted butter & toss to coat. Heat in microwave 1 minute, take out and stir carefully. 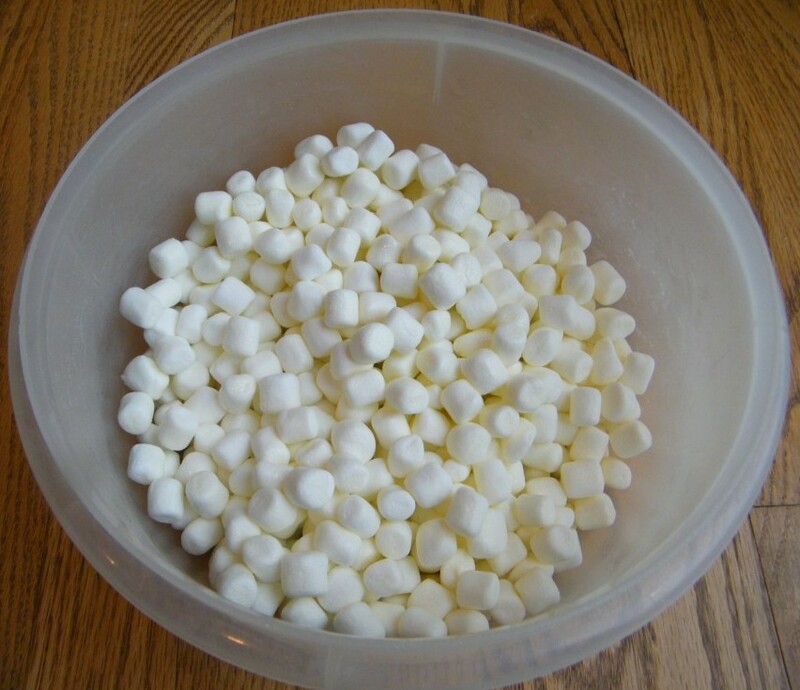 Continue melting in the microwave in 30-second increments until marshmallows are completely melted. 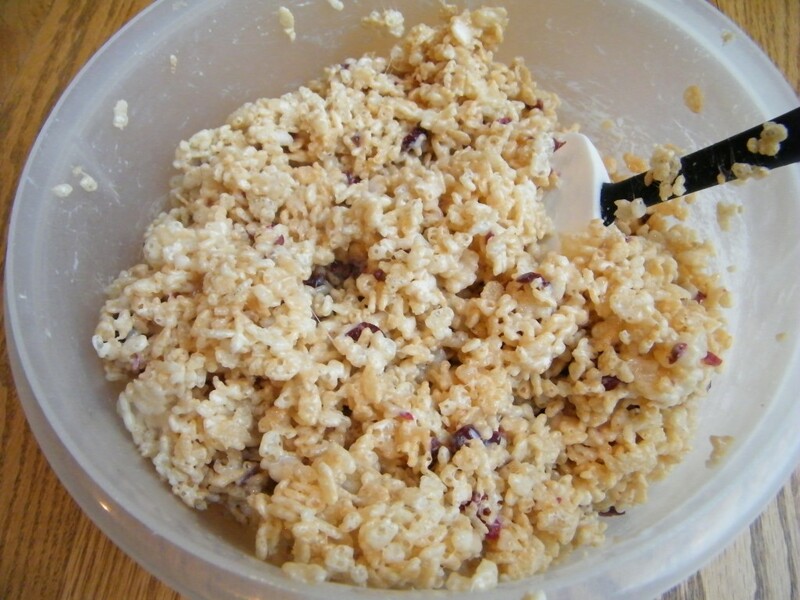 Add Rice Krispie cereal and Craisins, stir until mixed together. Spray pan lightly with non-stick cooking spray. The molded pan will hold about 1/2 cup of Rice Krispie/marshmallow mixture, just spread evenly in shaped areas. If using a stick, press in firmly. 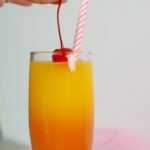 You may need to add additional mixture on top of the stick. Wait at least 3 hours until shapes have firmed up before decorating. To drizzle white chocolate, dip fork into melted chocolate & drizzle over top of Rice Krispie Treat back & forth. Immediately use sprinkles while chocolate is wet. 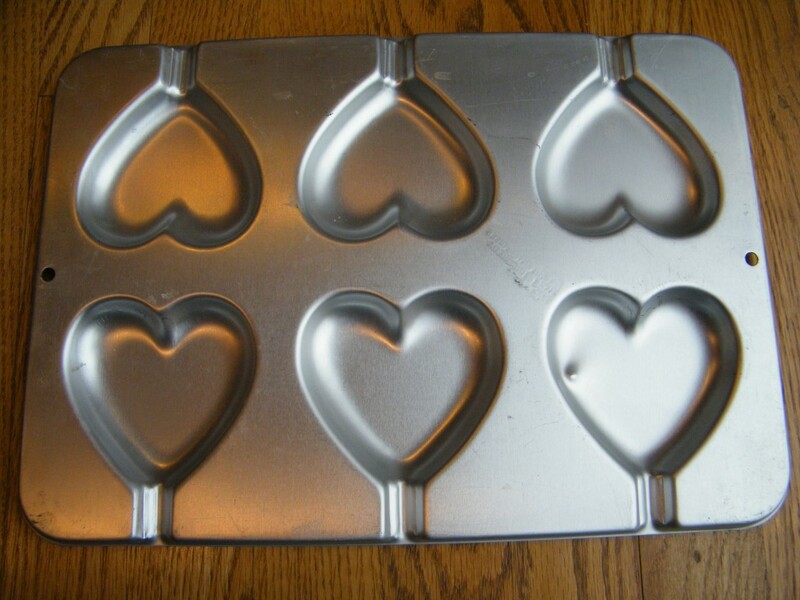 Makes 18 4″ hearts or 1 13×9 baking dish of Rice Krispie Treats. In large bowl melt butter in microwave, approximately 30 seconds. Continue melting in microwave in 30 second increments until marshmallows are completely melted. Molded pan will hold about 1/2 cup of Rice Krispie/marshmallow mixture, just spread evenly in shaped areas. If using stick, press in firmly. You may need to add additional mixture on top of stick. Makes 18 4" hearts or 1 13" x 9" baking dish of Rice Krispie Treats. Just saw these yummy treats over at Miz Helen’s Country Cottage. 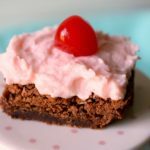 I’m having my very first link party this weekend and would love to have you link up! 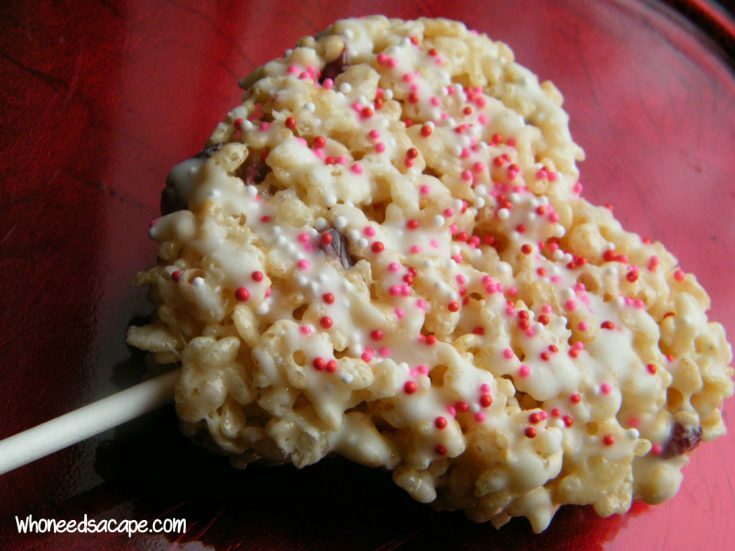 I just love how you dressed up the Rice Krispie Treat just for Valentine, great idea! Hope you have a great weekend and thanks for sharing your tasty recipe with Full Plate Thursday. Thanks Miz Helen, we’ll most certainly come visit next week! This is such a cute idea! I just had my very first Rice Krispy Treat ever about 2 weeks ago and am addicted since then 🙂 There is so so much you can do with them! I’ve never used one of those “pop” pans before but I’m going to now! 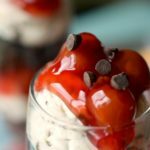 You’ve make some gorgeous treat for V-Day! Thanks for sharing at the Loving Valentine’s Day Party! 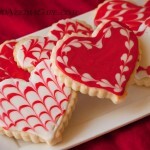 These sound yummy and I love the heart shaped treats.. 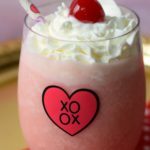 Thanks for sharing these on Foodie Friends Friday Valentine’s Party and I hope you will join us for our Snack Food theme party this week.